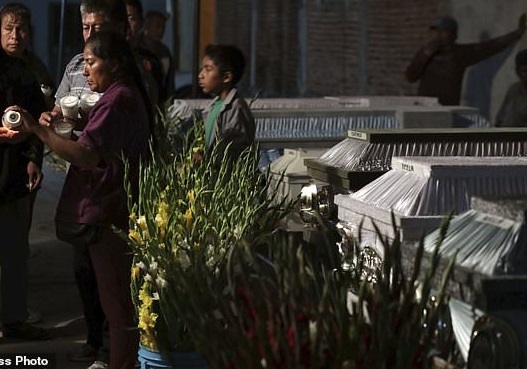 Eleven members of one family including a two-month-old baby girl were among those who were killed in the powerful earthquake that struck central Mexico on Tuesday. 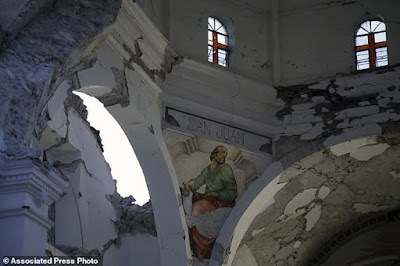 The victims were attending the baptism of the newborn baby at the Santiago the Apostle Catholic Church, in the Puebla state when the roof of the church collapsed and killed them. In a statement, the Archdiocese of Puebla said the only survivors were the two-month-old girl's father, the priest and the priest's assistant. The statement added that at least four minors were among the dead, including the two-month-old baby girl that was being christened inside the colonial-style church. 'It was a scene of horror, sadness with most of the people inside the church dying,' priest's assistant Lorenzo Sanchez told The Associated Press. 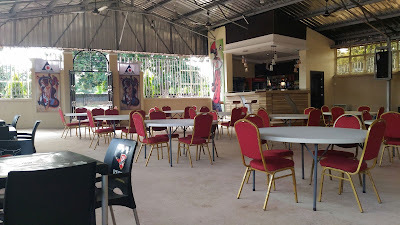 According to him, those who were able to survive moved to the edges inside of the church when the building began to sway. Those who were killed didn't have time to do so. 'One of the things they taught us is to stick to the firm walls of our church, which is old and its structure a bit deteriorated,' Sanchez said. 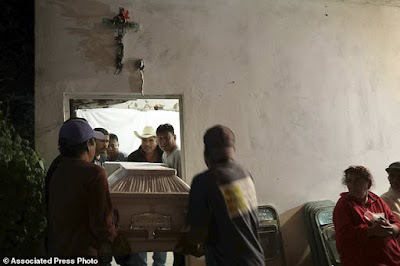 Two-month-old Elideth Torres de Leon, who was to be baptized; her sister, Maria, 8; and the girls' mother, Manuela de Leon Garcia, 27, are among the victims who died. On Wednesday, their relatives held a wake to bid a final goodbye to their loved ones. Each coffin had a name attached: Florencio, Fidela, Aurelia, Manuela, Maria de Jesus, Carmen, Samuel, Azucena, Feliciana, Susana and Elideth, the girl who was to be baptized. The 7.1 magnitude earthquake that struck the Central Mexico on Tuesday has left more than 200 people dead so far.